Energy is a key factor for both emerging and developed economies. The global energy market is incredibly unpredictable due to all of the potential impacts, including supply and demand, storage, weather, generational changes, global markets, imports and exports, government regulations and geopolitical changes and financial markets, which all impact prices. Energy is central to social and economic well-being. New strategies and technologies can allow energy to be accessible to all by 2030, allowing energy to move from poverty towards prosperity. The two major energies that could impact fabricators in the United States are oil and natural gas. Global outlook for oil appears comfortable for the next three years but the supply growth slows after that. The demand and supply trends point to a tight global oil market with production in 2022 falling to a 14 year low. The US oil supply is growing but in other countries it could stay by 2020. Oil demand will rise in the next five years reaching about 104 mb/d by 2022 due to developing countries. Last year, the US became the world's top net exporter of fuel, which is a fundamental shift from the traditional role as the top importer and consumer. The US remains a massive importer of crude oil but American refineries are now re-exporting much of that oil as jet fuel, diesel and gasoline. Total US crude oil production is forecast to average 9.3 million barrels per day (b/d) in 2017, which is an increase of 0.5 million b/d from 2016. The US Energy Information Administration (EIA) expects oil production to average 9.9 million b/d in 2018 which would pass the previous record of 9.6 million b/d in 1970. This is due to rising demands from overseas. In the Permian Basin, operators have been able to maintain positive cash flow because of lower costs, higher productivity, and increased hedging activity by producers. Oil rig counts are related to cash flow. Available cash flows could potentially contribute growth in rigs despite flat crude oil prices. There is a high demand for labor and equipment because of the rise in drilling. Rigs need investment after sitting idle. Ed Youdell, President of the Fabricators and Manufacturer’s Association International (FMA), explains, “Projections abound about the trading range of crude oil remaining between $50 and $60 per barrel over the next two years. Even at this level, there is still new investment happening in such places as the Permian Basin. The hard data that stands out to me comes from the U.S. Energy Information Administration's latest report that highlights global demand for energy resources will be increasing by 48% over the next thirty years”. Natural Gas is more of a stable bet. Overall, liquified natural gas (LNG) exporting is expected to start off slow due to a temporary oversupply. 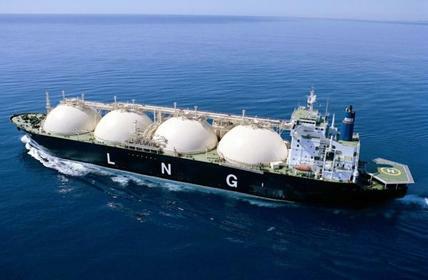 But the Energy Ventures Analysis (EVA) study expects there to be a long term second wave of projects to move forward after 2023 and then by 2030 which will establish the United States as the world's largest LNG exporter. The Sabine Pass,1,000 acres of land between Texas and Louisiana, has shipped 12 cargoes with roughly 42.8 billion cubic feet (Bcf) of LNG. These first trains are the beginning of major exporting opportunities. According to the EIA in 2016, the US exported a total of 184.3 Bcf of LNG with the top importers by volume were Chile, Mexico, China, India and Argentina. Mexico's demand of LNG is expected to grow from 1 Bcf per day to 8 Bcf per day. India will also be a major playing in importing LNG. India's government plans to double the share of natural gas to 15% in light of its pledge to reduce their carbon emissions as much as 35% from 2005 levels by 2030. With greater gas exports that means an increase in storage and production of storage units. The EVA Principle, Michael Schaal, said that developing infrastructure to process and bring LNG to market is the biggest issue. More LNG export terminals and trains are planned through 2020, potentially in Oregon and Texas. 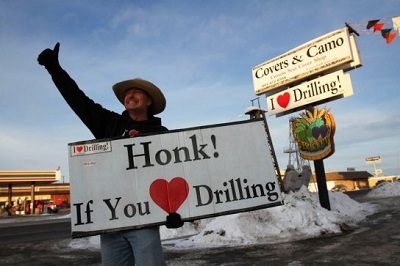 There is also an expectation of increased drilling to bring more production online from 102 gas rigs to 149 gas rigs. U.S. exports in 2016 were more than three times larger than the level 10 years ago. Infrastructure improvements, including natural gas pipelines and facilities for liquefying natural gas for export, assisted suppliers in meeting increased demand from foreign markets. The United States presidential election was dramatic but these political situations are also occurring in Europe. The United Kingdom passed Brexit, to leave the European Union. There are two national elections in France and Germany that could reshape Europe’s infrastructure. These political shifts can have major impacts on the energy market and beyond. Currently in the United States, with President Trump in office, there is a major shift occurring. Donald Trump is a major supporter of oil, gas and coal industries. President Trump is also committed to eliminating policies that will help energy growth increase. 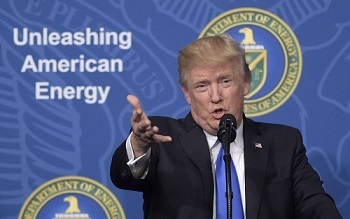 Trump wants to created energy independence and overall stimulate the economy and ensure security through energy dominance. “The current administration is energy-friendly and appears to be more willing to allow drilling in places previously blocked to oil producers. There is also talk of lifting the 1973 act that would allow more crude oil exports from the U.S. on top of already rising global demand for U.S. petrochemical products. Add in any move downward in the U.S dollar and investment into commodities will certainly increase as the price of those commodities rise,” stated Youdell. With the export outlook for oil and natural gas looking strong, this could be a great opportunity for fabricators. With oil and gas both needing more and or updated infrastructures, these are fabricators biggest opportunities to capitalize on.